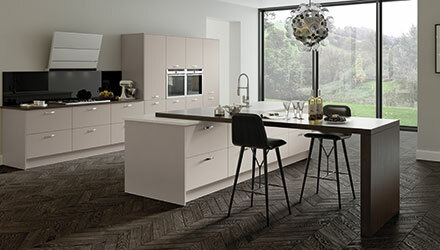 We like to think of the On-Trend Kitchen collection as an artist’s palette that puts you in control of the picture you paint. 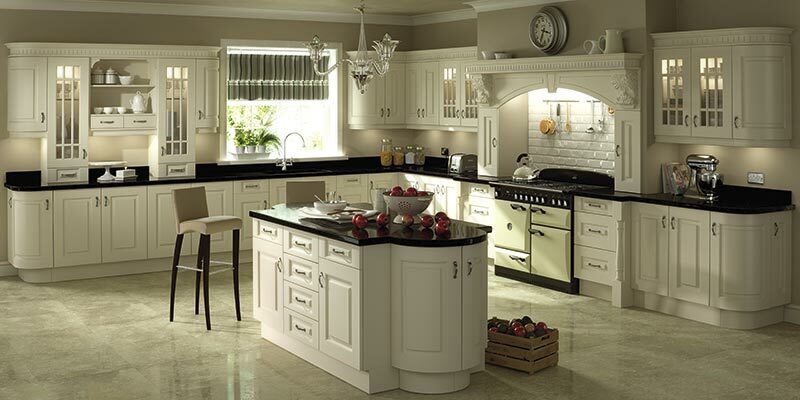 Select the Kitchen styles that suit you and your home the best. 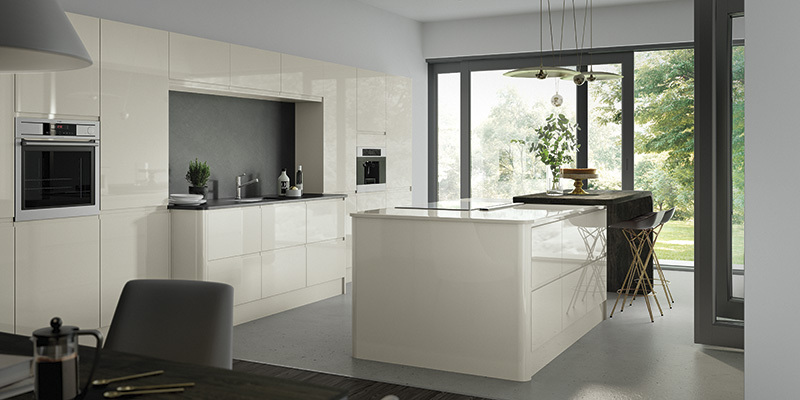 Are you a modernist, who cherishes sleek simplicity? Or a classicist, who adores graceful finishing flourishes? No matter what your particular tastes are, the On-Trend collection delivers the canvas, the colour and the detailing to deliver. 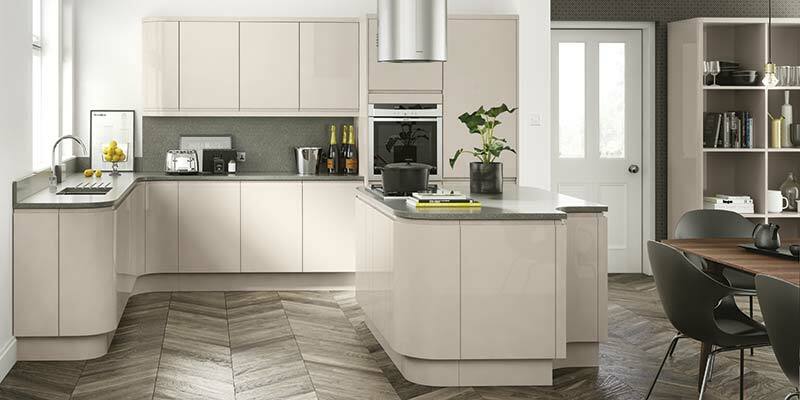 As you’d expect, each kitchen design in the collection comes in a choice of carefully selected On-Trend colours, paired with sparkling high gloss kitchen cabinets or tactile matt finishes. 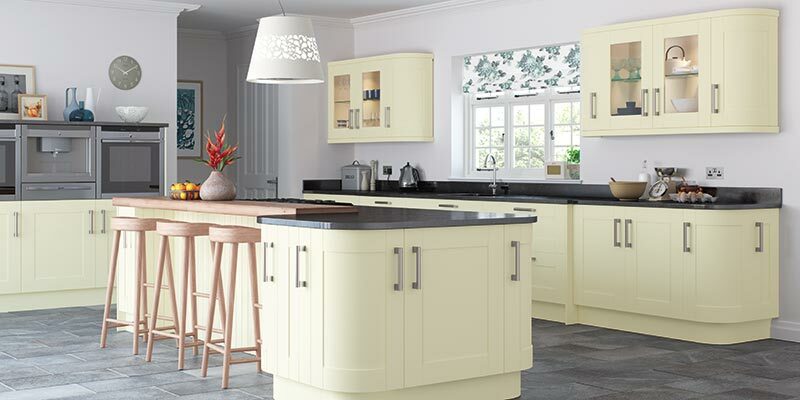 If our standard kitchen range doesn’t include your ideal shade, we offer hand painted kitchens (matt finish only) on selected kitchen designs, helping you to achieve the kitchen of your dreams. 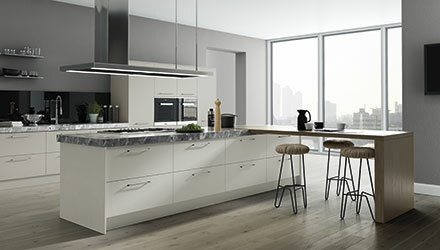 Light and shade comes courtesy of our purpose-designed kitchen lighting range, and a comprehensive selection of handles and wirework storage solutions allow you to really stamp your signature on the completed masterpiece! 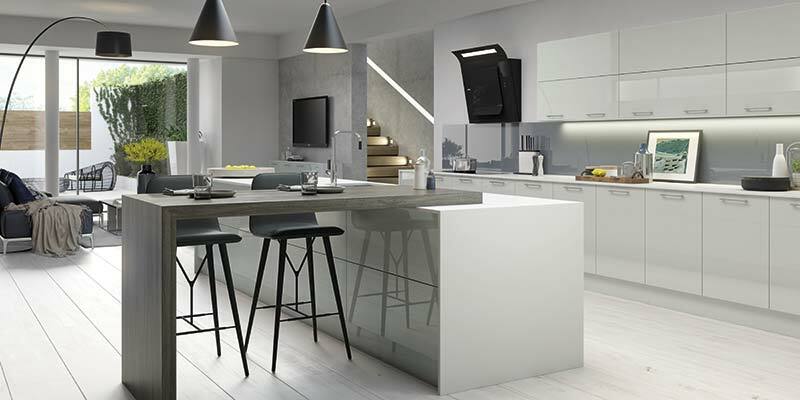 Is there a more multi-faceted room than the kitchen? Kitchens have so many practical functions; storing supplies at their required temperatures and in the correct environments. 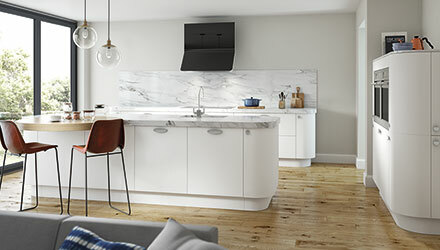 Then, using a variety of vessels, appliances and utensils, the kitchen hosts the pairing of those ingredients – for sustenance, comfort, invigoration and delight! 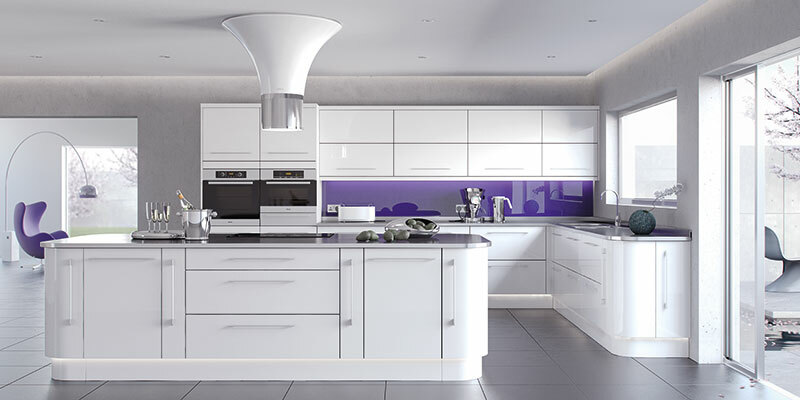 As technology and food continue to intertwine and global food culture advances, the kitchen increasingly becomes a room of colour, scent and discovery. Spurred on by TV cooks and celebrity chefs, we feel the confidence to experiment, and the kitchen is our laboratory! People come together in the kitchen – at daybreak, for breakfast, then to discuss the day’s events with an evening meal. We entertain with drinks – from coffee to cosmopolitans. We catch up with friends, laugh, dance and make merry. Then, of course, there are times when the kitchen becomes our own personal haven – somewhere to make tea or coffee, pore over a Sunday broadsheet, even attempt the cryptic crossword. 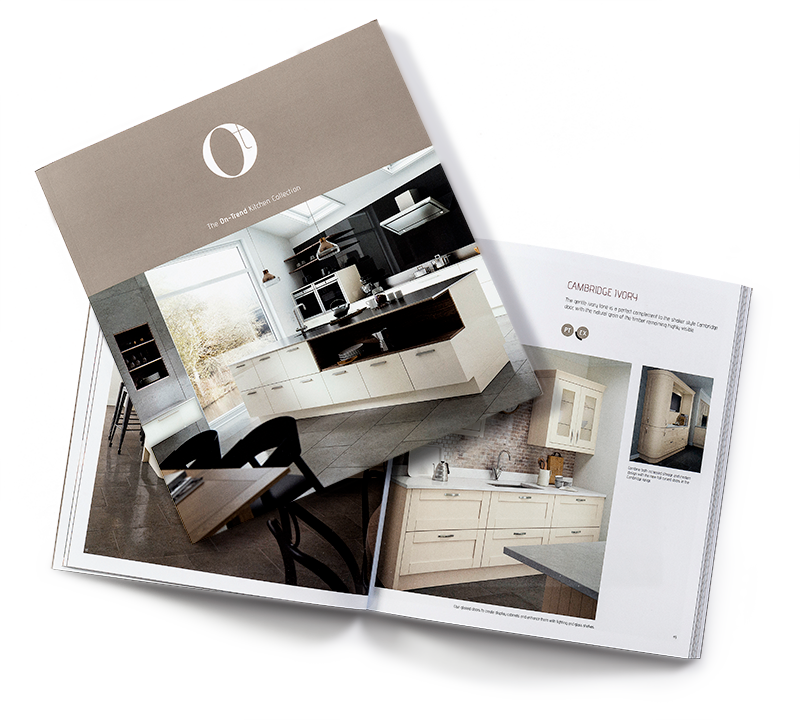 With the On-Trend Kitchen collection, we have crafted a suite of kitchen design ideas that invite you to spend time… Comfortable, innovative, attractive and luxurious, they are crafted to be at home, in your home. 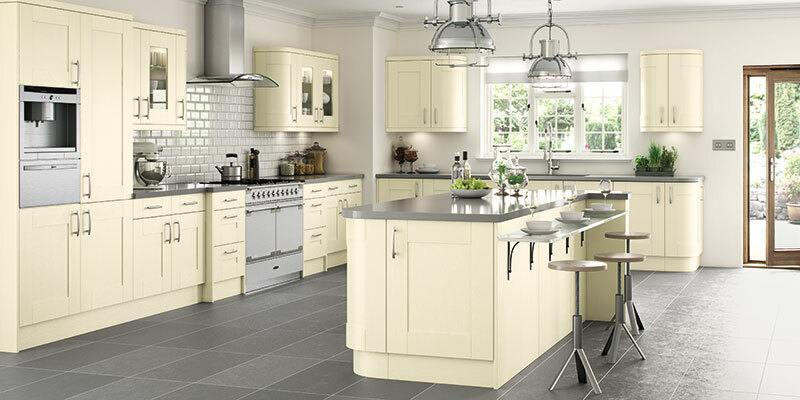 The UK’s most popular colour choice for kitchens is now available in a soft matt white finish. 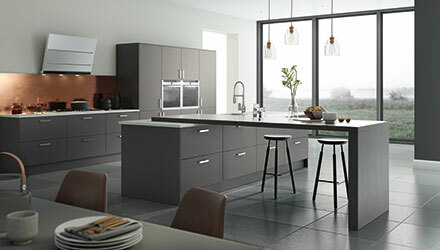 The subtle tones of light grey in a matt finish flow effortlessly around the kitchen. Cashmere exudes a richer tone that’s suited to both neutral and darker surrounding colours. Anthracite provides a striking darker tone accentuated by the slab design of the Vivo door. 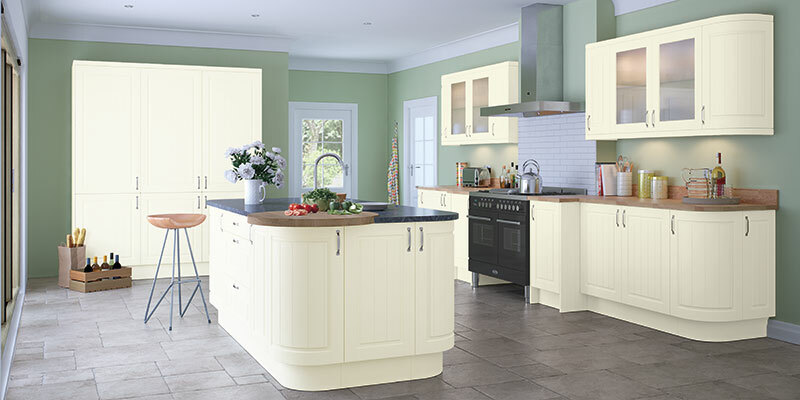 The ivory while a timeless favourite in kitchens is reinvigorated with the new matt painted finish. 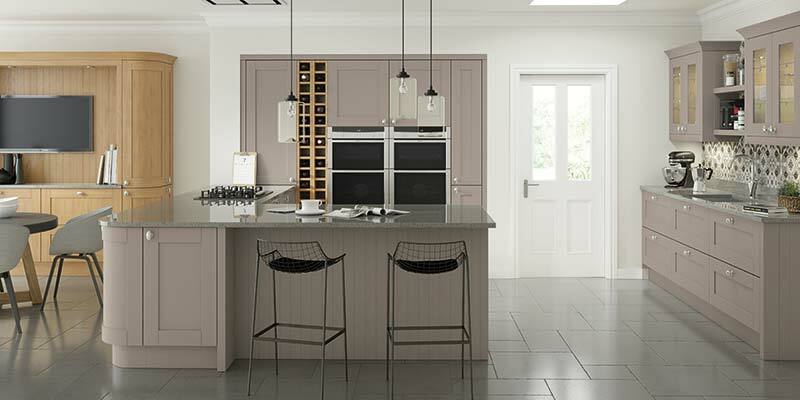 Create an elegant and exclusive look in your home by choosing our Lusso, matt hand-painted door. 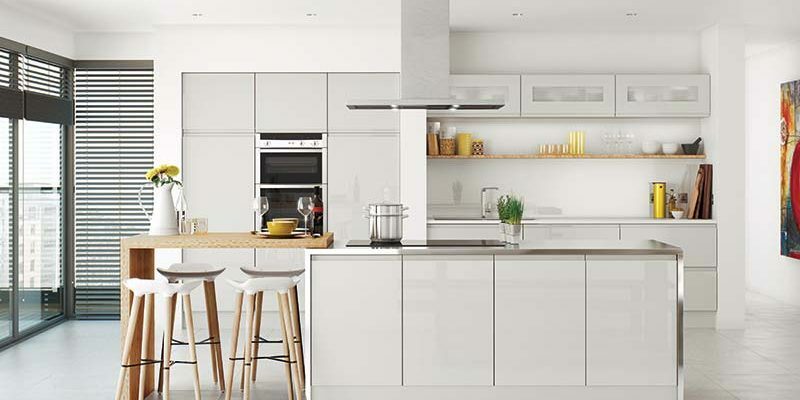 Create a powerful statement with the ultra contemporary and minimalist Lucente white handleless door. 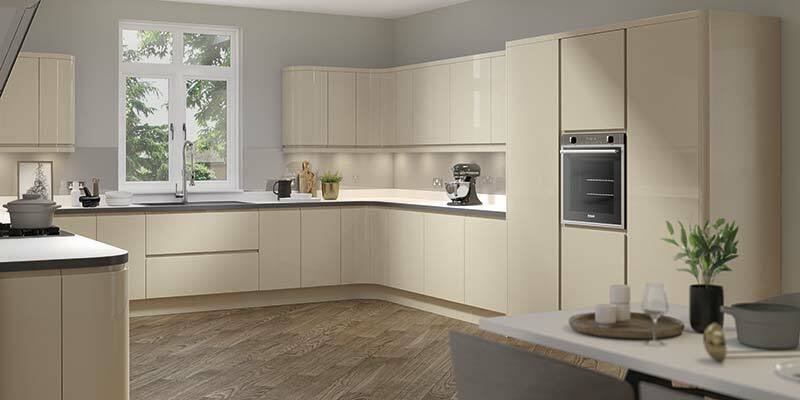 Classic and chic; the Lucente Cream high gloss handleless door creates a warm and welcoming setting. The cashmere tone exudes warmth with internal curves create a beautiful flow and is an increasingly popular alternative to cream. 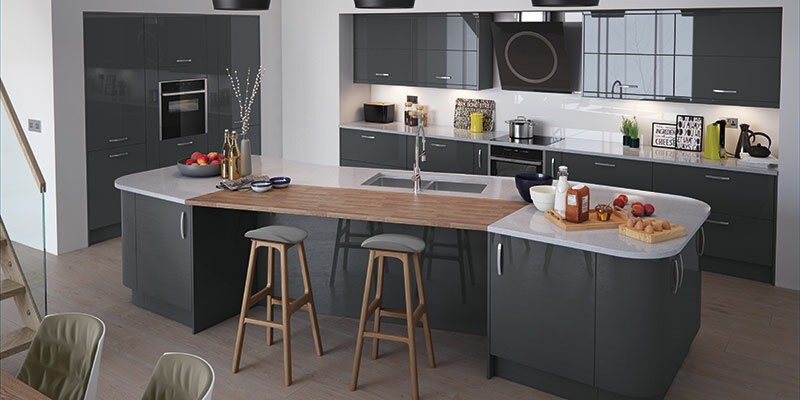 The on trend Lucente Anthracite , cutting edge design offers uncompromising style with its sleek, contemporary look. 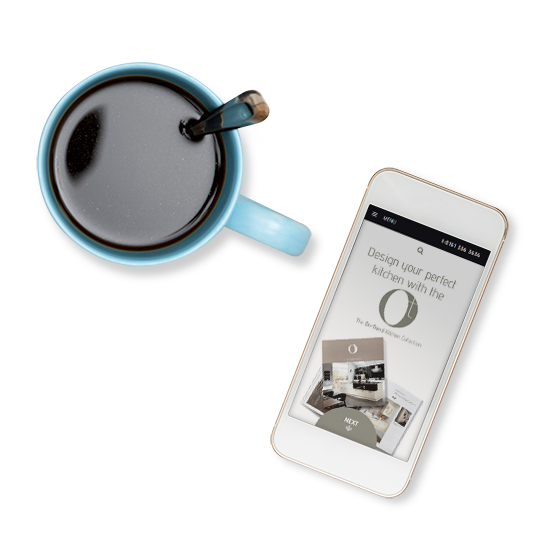 This cutting edge design offers uncompromised style whilst leading the trend; perfect for the design-savvy customer. 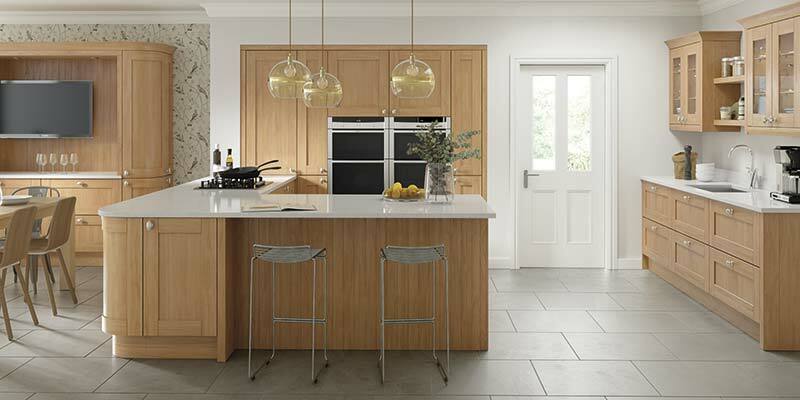 Combining sleek flowing lines with a neutral earthy tone, the Lucente high gloss Pavilion door creates a contemporary and uber-stylish environment. 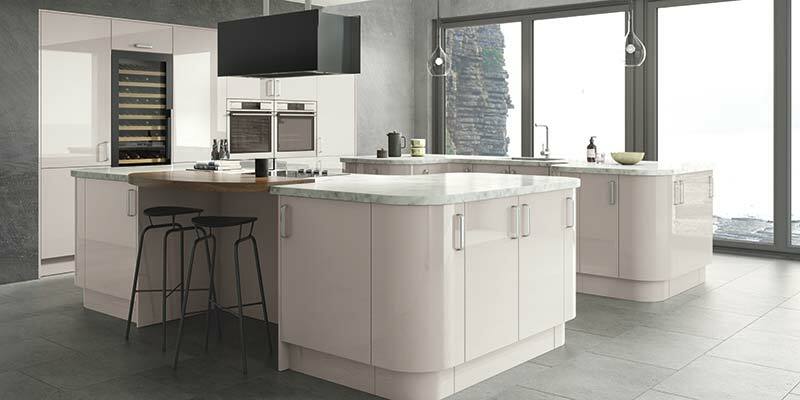 For a fresh and avant-garde kitchen, choose the all new Lucente high gloss Stone handleless door..
Hand painted gloss Porcelain is a beautiful new palette to the kitchen, including curved corner posts. 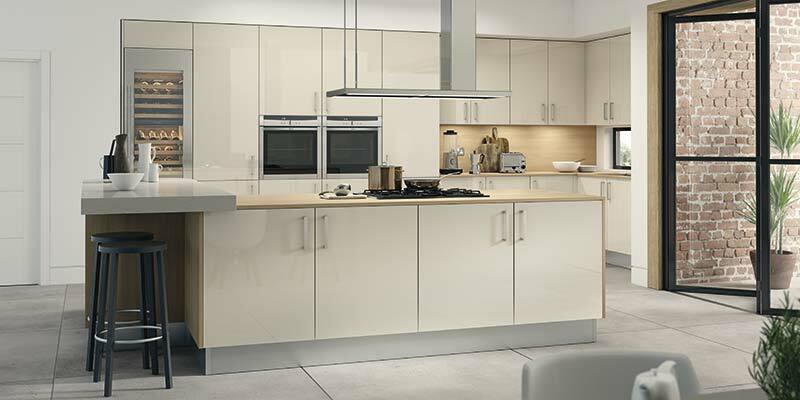 This handleless door offers an air of simplicity, creating the perfect kitchen in any home. 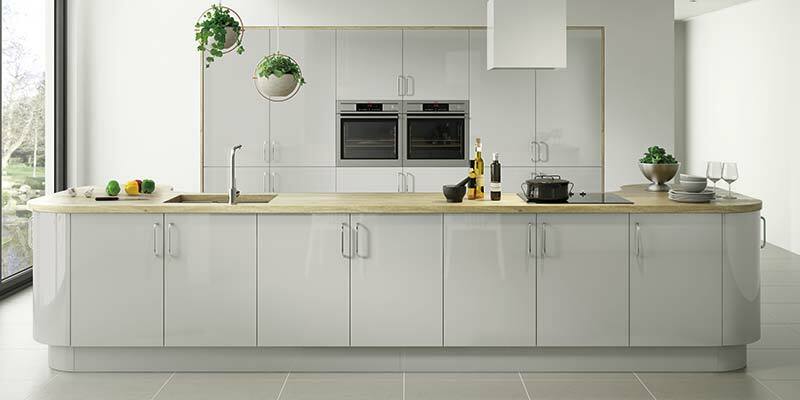 Contemporary or classic: the Vivo Gloss White door has a clean, timeless design that can be used to create any desired kitchen aesthetic. 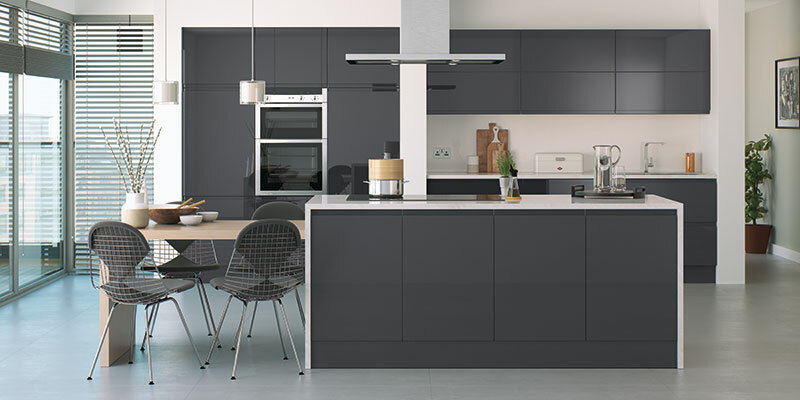 Vivo Gloss Anthracite brings sharp definition to the kitchen and contrasts nicely with more neutrally coloured rooms. 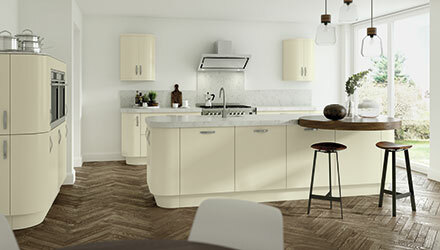 Vivo Gloss Porcelain offers a crisp new alternative to white and ivory. Incorporate open shelving in an island area to create an en-vogue design feature. 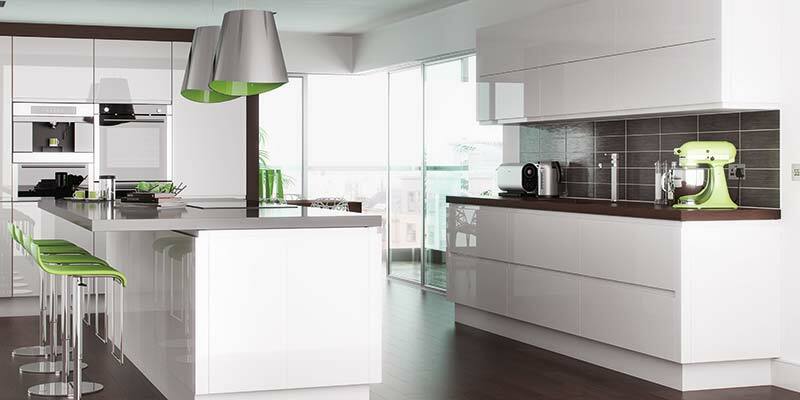 Bringing a fresh and contemporary look to any room, with its strong lines and high gloss finish. 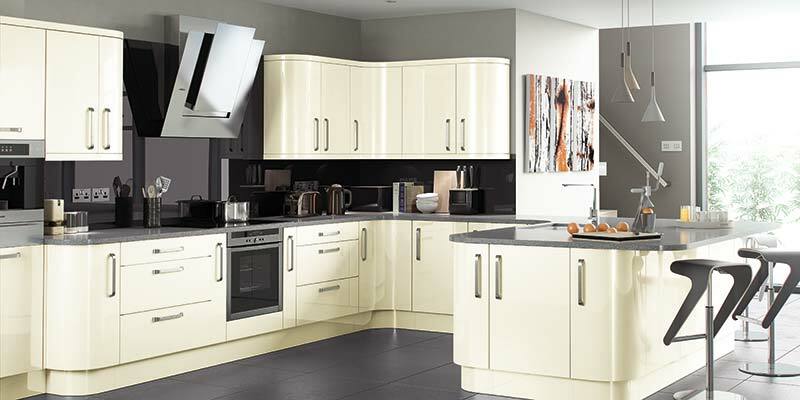 The sophistication and beauty of the Vivo range is enhanced by the addition of Vivo Gloss Ivory. 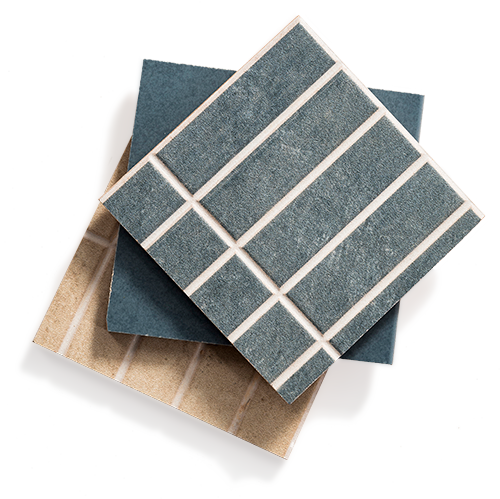 Its subtle neutral tones are sure to lend an air of warmth to any room. 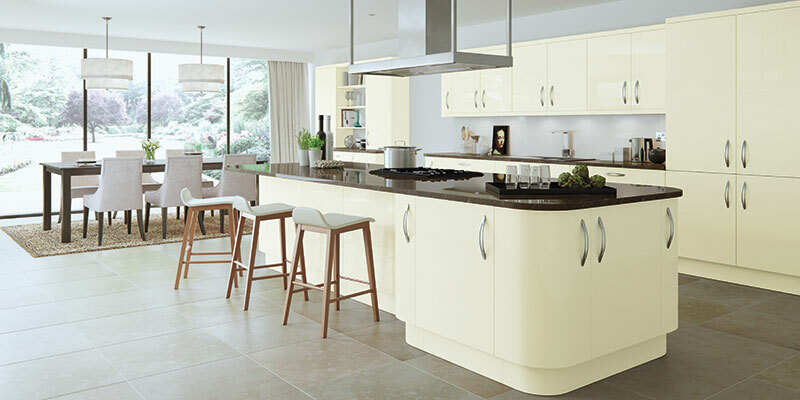 Enjoy the soft, earthy ones of the Vivo Gloss Stone door adding a calming feel to any kitchen. 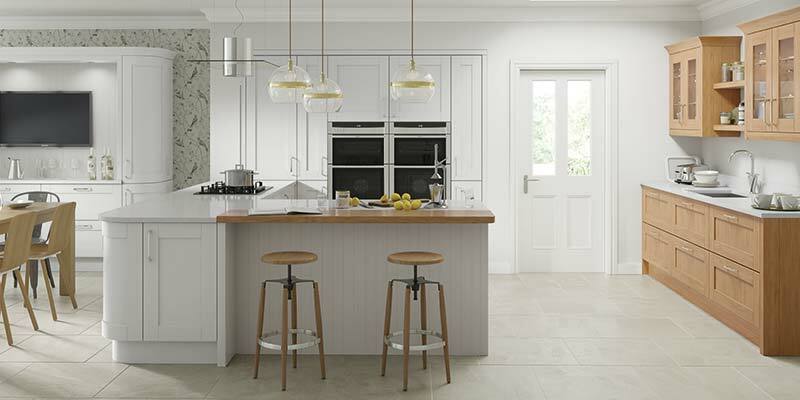 Simple and stylish, Lusso White is perfect for any setting, from ultra modern to classic. 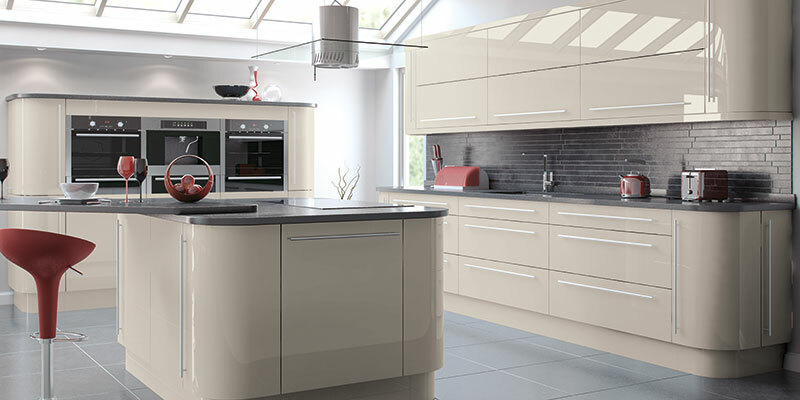 Create a contemporary yet warm and inviting setting with high gloss Lusso Cream. 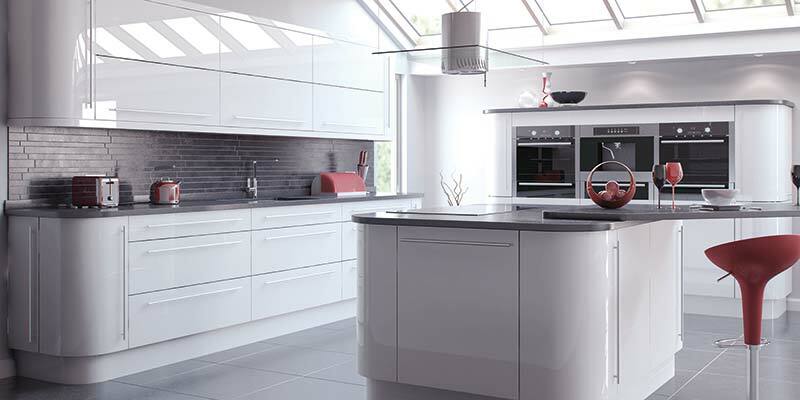 The high gloss painted light grey finish is a rapidly growing favourite in the UK. 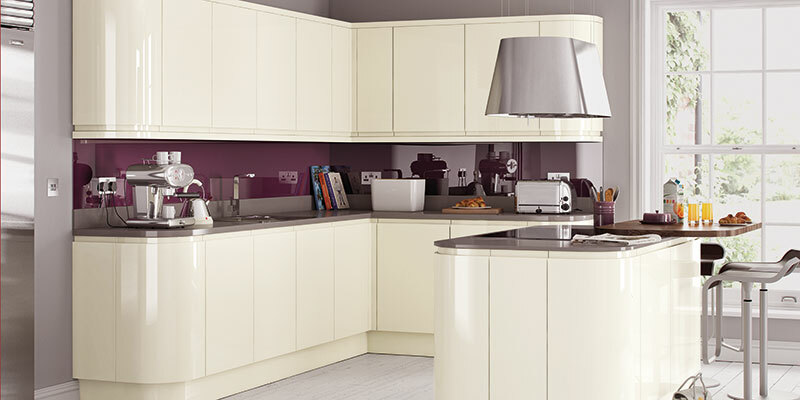 The calming gloss tone of cashmere compares and contrasts with most common décor colours. 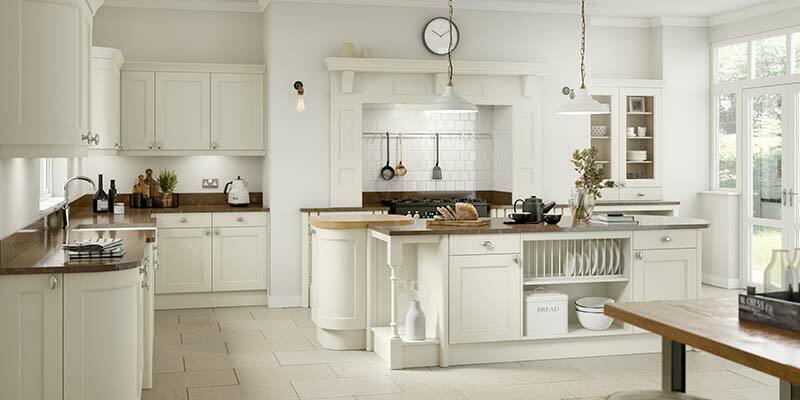 Windsor Ivory flows beautifully throughout the kitchen, with soft ivory tones a regular favourite. 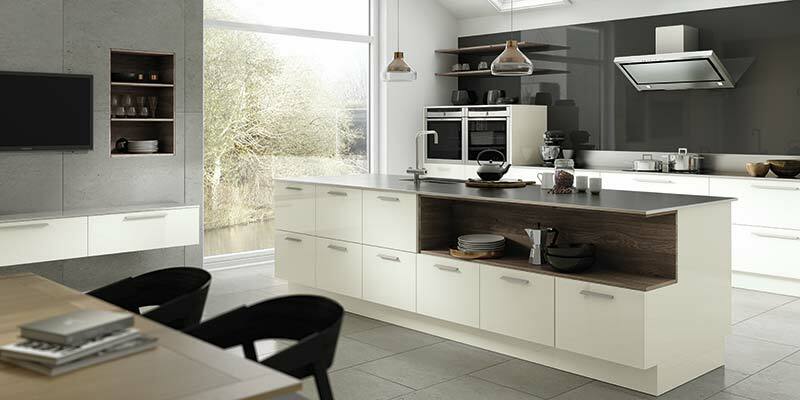 The lighter tones of Mussel make it an ideal choice to combine with the darker stone grey island unit. The slightly darker tones of stone grey are highly impactful with the Windsor door. 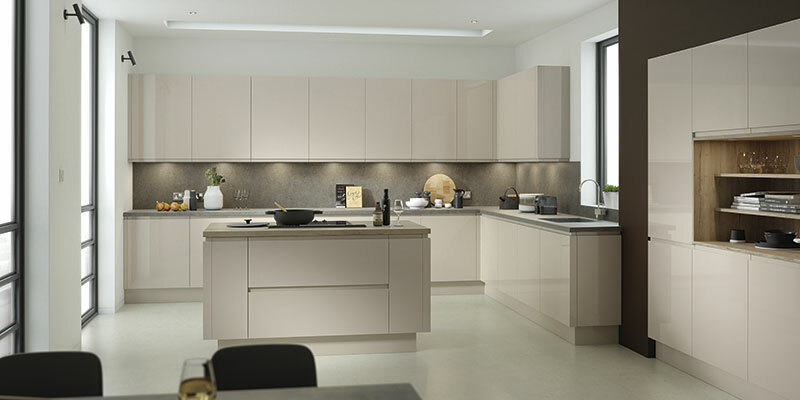 The increasingly popular tone of light grey is now available in the Windsor range. 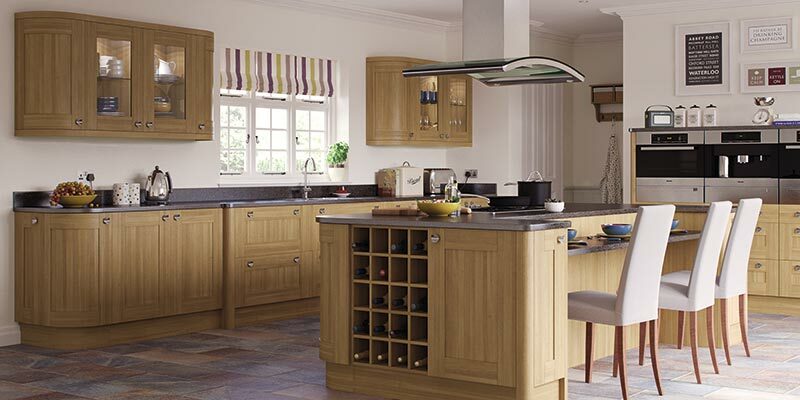 The natural beauty of oak can be used on its own or mixed with a lighter shade for a two-tone kitchen. 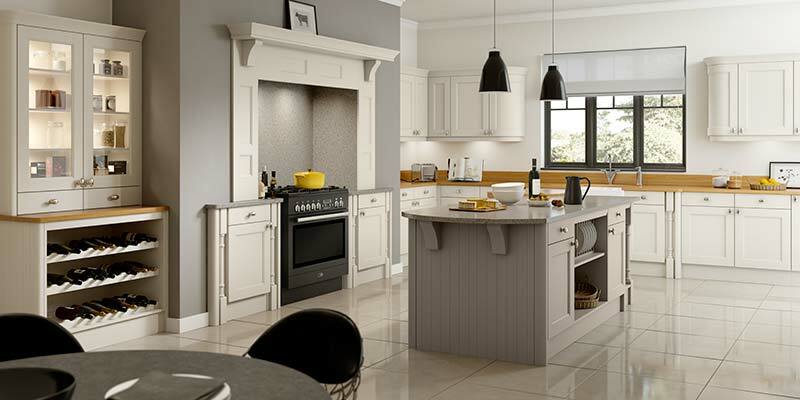 The distinctive shaker detail of the Cambridge door is heightened by the light grey tone. 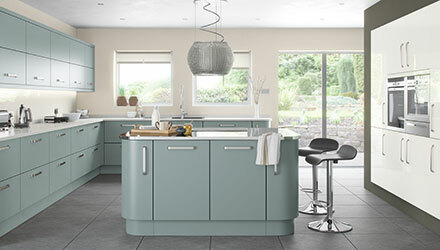 The soft pastel tone of Mussel creates a stunning kitchen with the Cambridge door. 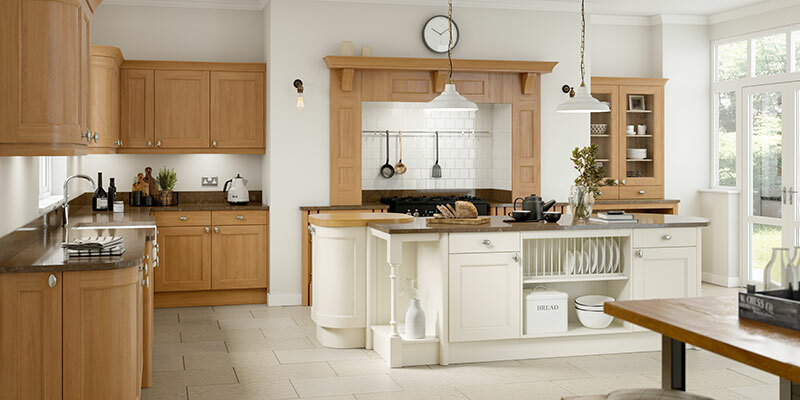 The gentle ivory tone is a perfect complement to the shaker style Cambridge door. 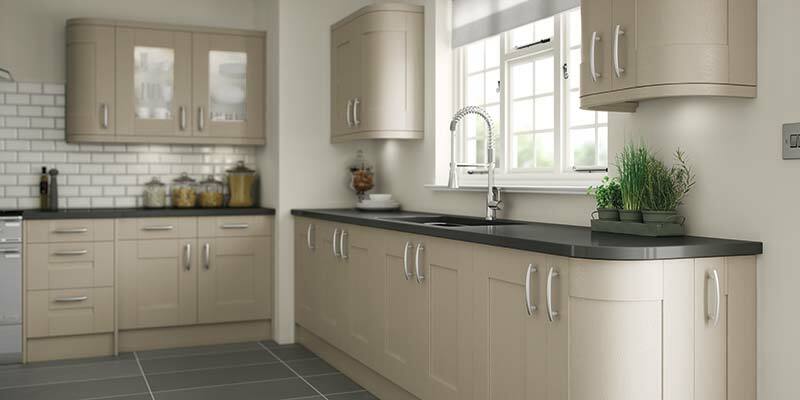 The warmth of stone grey radiates through the kitchen on the Cambridge door. The oak tone of the Cambridge door has been a favourite in the UK for years. 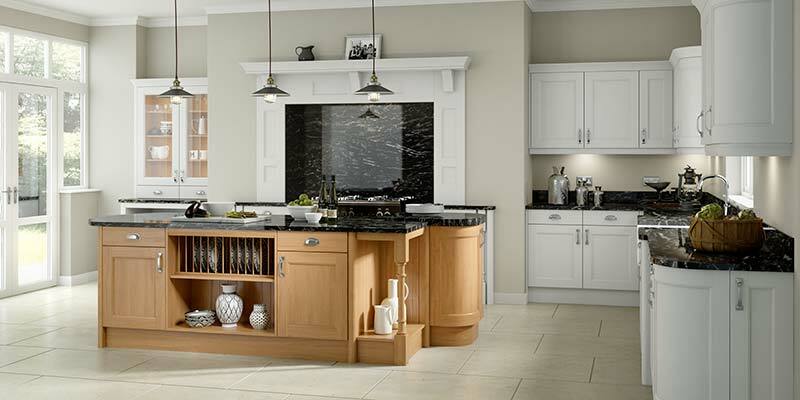 Add traditional definition to your kitchen with the raised and fielded centre panel in the Denton door. 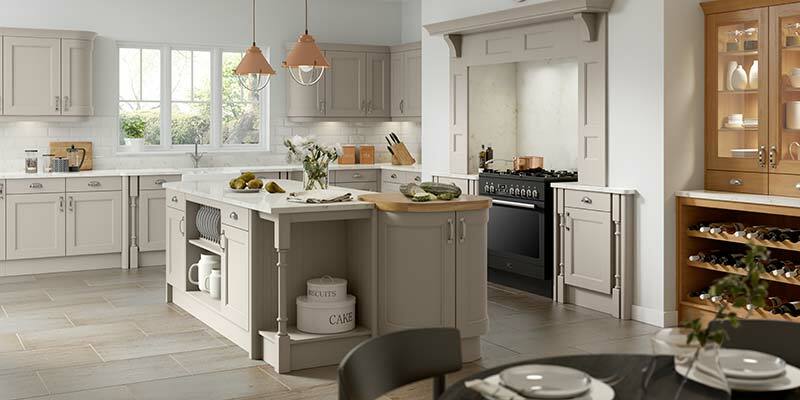 The tongue and groove style detail in the Boston door remains a kitchen classic. 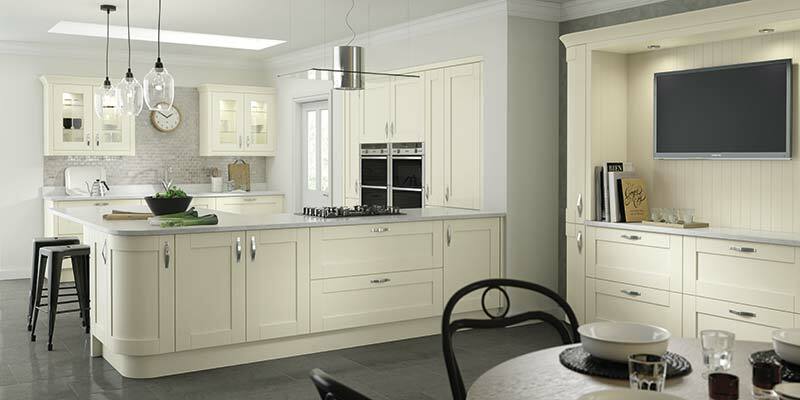 Add curved style, detail and light to your kitchen with the Cartmel Ivory in matt. 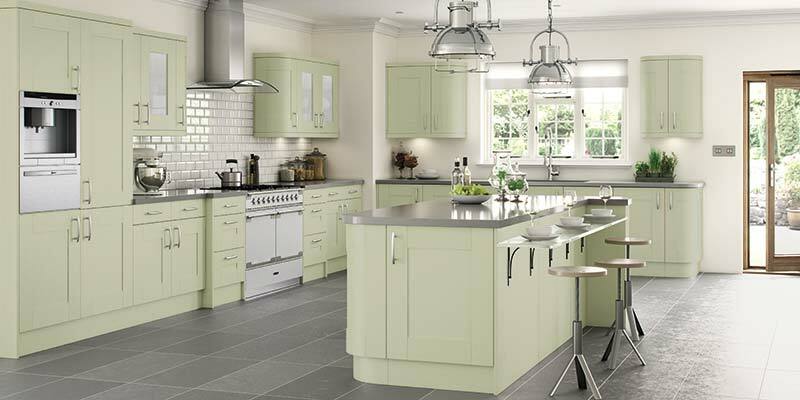 Introduce some more colour and definition with the pastel choice of Cartmel Dakar. 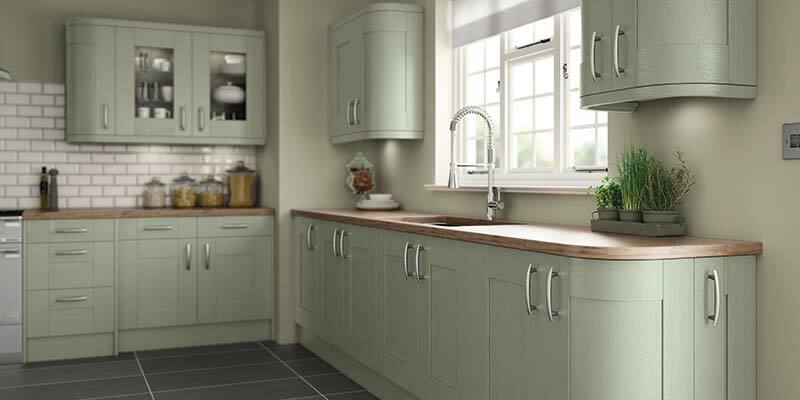 Bring soothing pastel colour into your kitchen with the Cartmel Sage Green door. 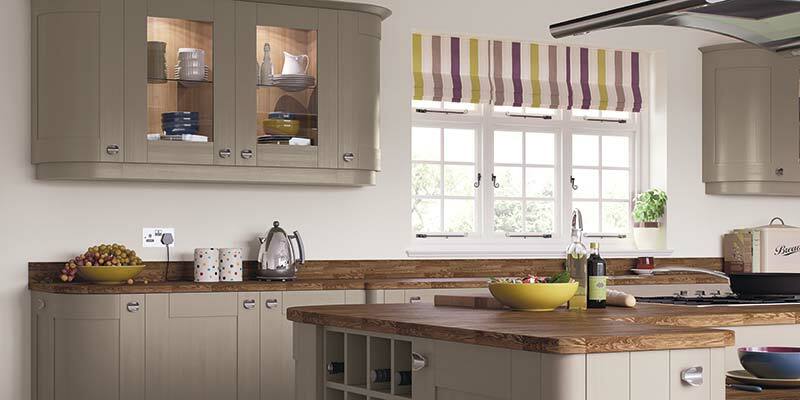 Timeless in its design, Cartmel Hand Painted creates an elegant and welcoming environment in any home. 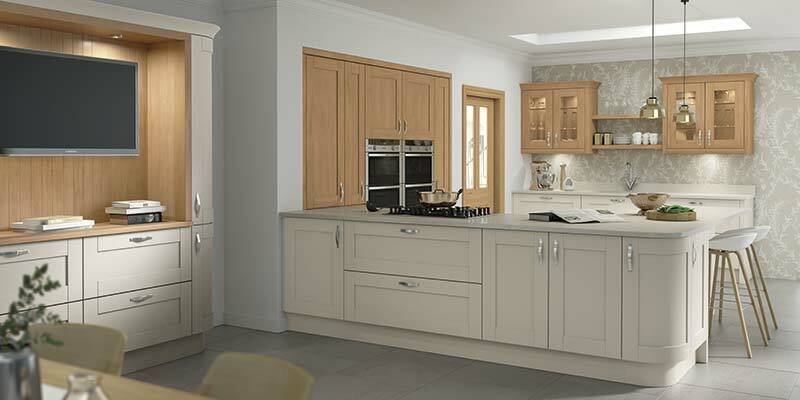 Richmond takes the natural beauty of oak with shaker detailing to create an ever-popular kitchen..
Richmond Hand Painted is available in 20 standard colours in a matt finish. 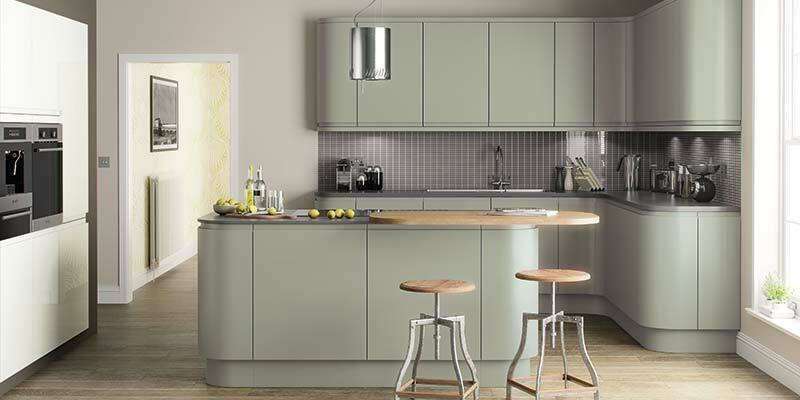 Create an exclusive look in your home by choosing our Lusso, matt hand-painted door. 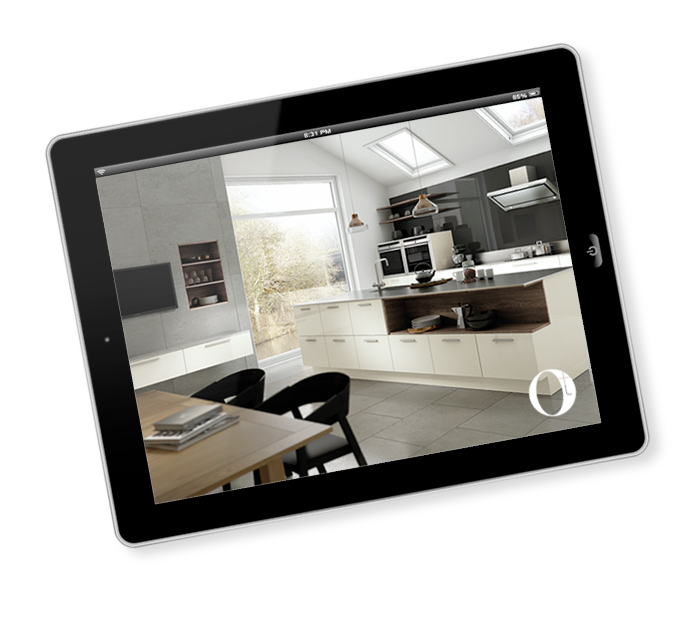 Design your perfect kitchen with our online kitchen room planner. 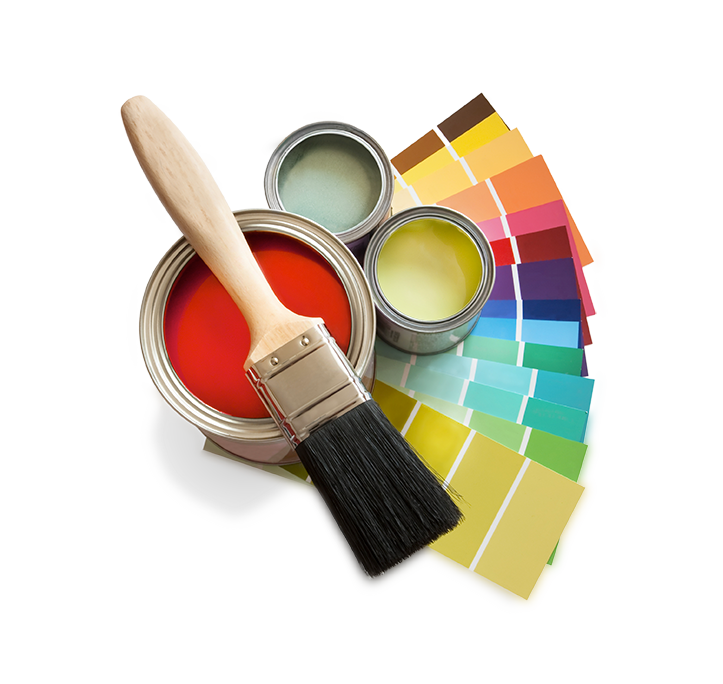 Get professional help and advice on the planning of your kitchen. 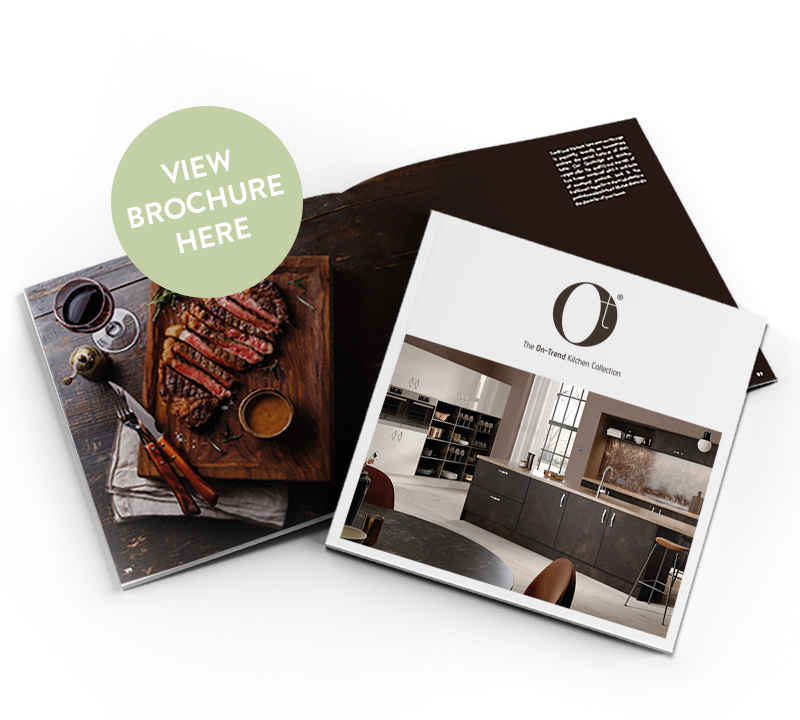 Order our latest printed brochure to browse through at your leisure.